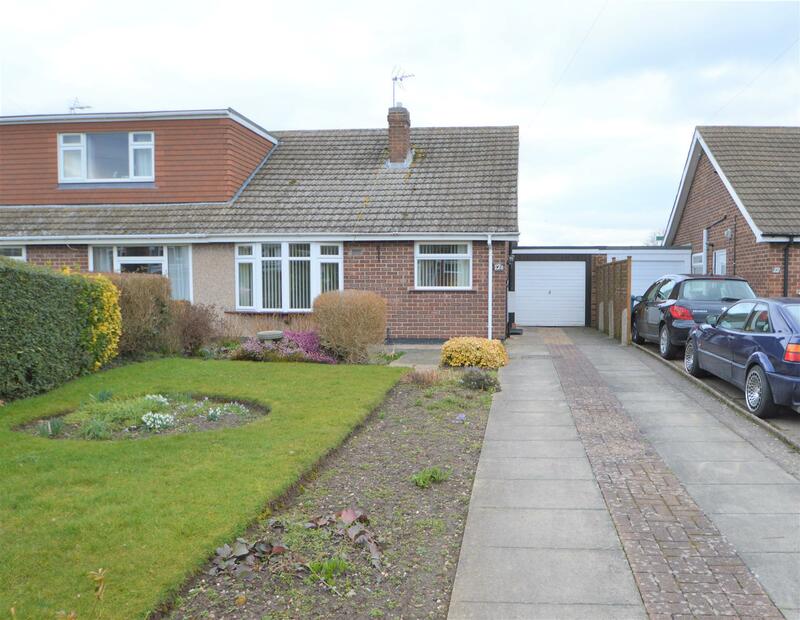 Benjamins are pleased to bring to market this two bedroom bungalow in a quiet cul-de-sac in the highly sought after village of Keyworth. 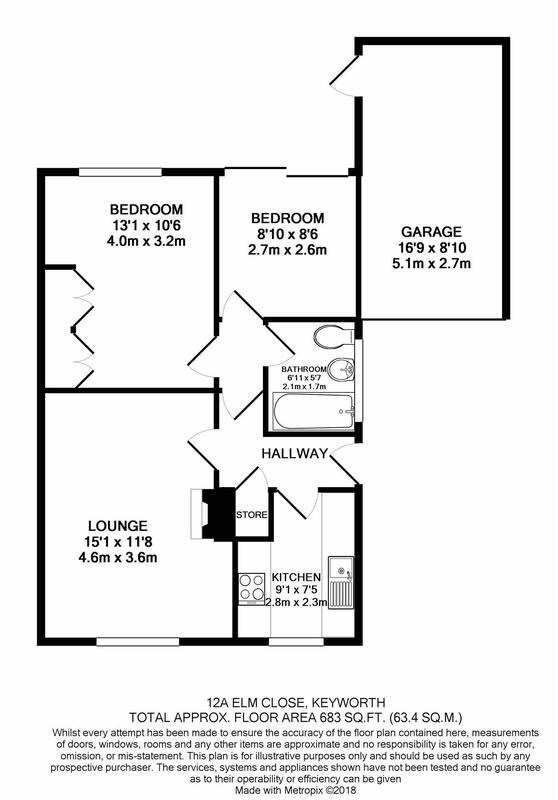 The flexible layout comprises in brief, two bedrooms (bed two suitable for use as a dining room also), bathroom, kitchen, living room with space for dining table, low maintenance rear garden, garage and driveway. The property also benefits from no onward chain, gas central heating, double glazing, frequent bus services into Nottingham city centre and is well located for the A52, A60, A606 and A46. To arrange a viewing contact Benjamins Sales on 0115 9371713. UPVC double glazed window the front aspect with a range of wood base and wall units with work tops over, sink with drainer and mixer tap, tiled splash backs, plumbing for washing machine, gas hob and electric oven, wall mounted Worcester combination boiler. UPVC double glazed window to the rear aspect, double built in storage wardrobes, ceiling light, radiator, carpet. Comprising panel enclosed bath with shower over, pedestal wash basin, WC, fully tiled walls, window to the side aspect. With up and over door, and door with access into the rear garden. The front of the property is accessed via the driveway to the front and side of the property which provides off street parking and leads to the single garage. There is also a bordered lawn to the front. To the rear of the property there is a low maintenance, private garden with pedestrian entrance to the brick built garage and patio doors into bedroom two.